Free Printable Santa Claus Coloring Page. Free Printable Santa Claus Coloring Page that can be a fun activity to share with kids for Christmas celebration. You can use this free printable Santa Claus Coloring Page for a special Christmas day activity at school or just for fun at home. Kids can spend some time coloring Santa Claus. Then they can display the Santa Claus Colored Page at the classroom board where parents can see it. 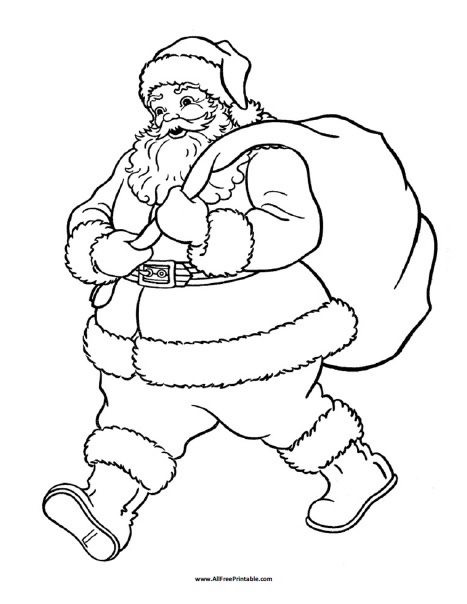 Print this Santa Claus Coloring Page and let kids have fun with Christmas coloring pages. Click the link to download or print the Santa Claus Coloring Page free in PDF format. Ho Ho Ho Merry Christmas!